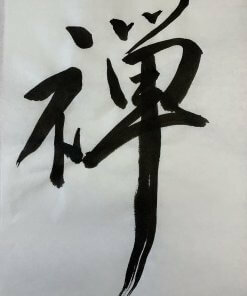 Samurai are the name of representative warriors in Japan. 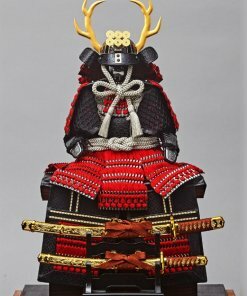 Samurai armor is what Samurai put on for wars. Those armors’ designs and appearances are so unique. 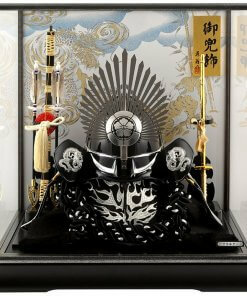 Nowadays, Japanese people display ornamental helmets called Kabuto or samurai dolls at home on the children’s day, wishing their kids grow up strong and success in their lives. 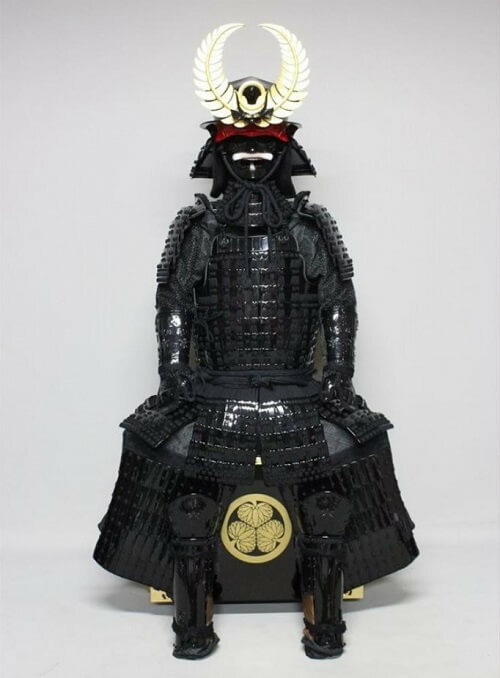 For this purpose, most of Japanese families still possess Samurai armors. 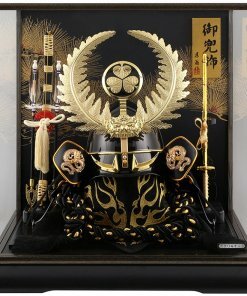 In OrientalSouls.com, we sell Samurai armors and helmets world wide. Please see below for our product examples. It’s nice to display them as an interior object. It’s also a great idea to present it to your kids wishing they grow up strong and success as Japanese people do. 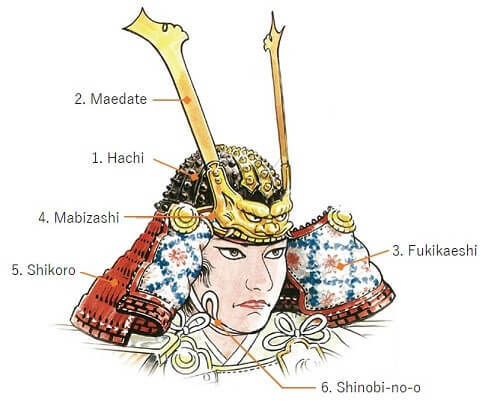 In this page, we introduce details of Samurai armors and helmets. Please see the table of contents below and jump to what you’re interested in. Samurai helmet (also called “Kabuto”) had used by ancient Japanese warriors, and in later periods, they became an important part of the traditional samurai armor worn by the samurai class and their retainers in feudal Japan. 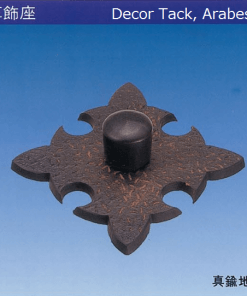 The kabuto was an important part of the equipment of the samurai, and played a symbolic role as well. 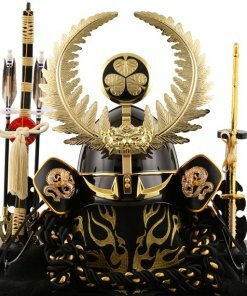 Samurai in higher rank displayed their power and dignity by wearing notable decorations on their helmets. Maedate – a crest attached at the front of helmet, to show owner’s power and strength. Although samurai helmets came in different shapes and sizes according to the need and liking of the warrior and according to the time and age. However, a typical kabuto was built with a central dome which is constructed from riveted metal plates ranging from one to three hundred in number. These plates are put together in a radiating manner, seemingly stemming from the top opening on the kabuto. These riveted metal plates could be changed, in accordance with the needs and likings of the individual Samurai warrior. 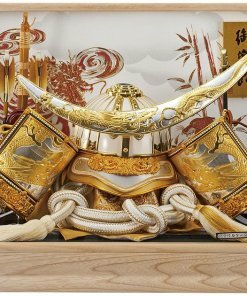 Another prominent feature of the samurai helmet is a suspended neck guard used alongside the helmet, the guard was called “Shikoro” and was comprised of up to seven lacquered, semi-circular metal parts. These were then attached and tighten with the help of leather or silk lacings. 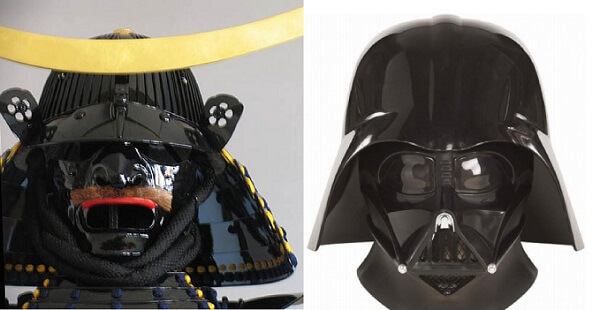 The mask and helmet of Darth Vader, the famous character in the movie “Star Wars” was modeled after the black-lacquered armor with five pieced cuirass used by Masamune Date. 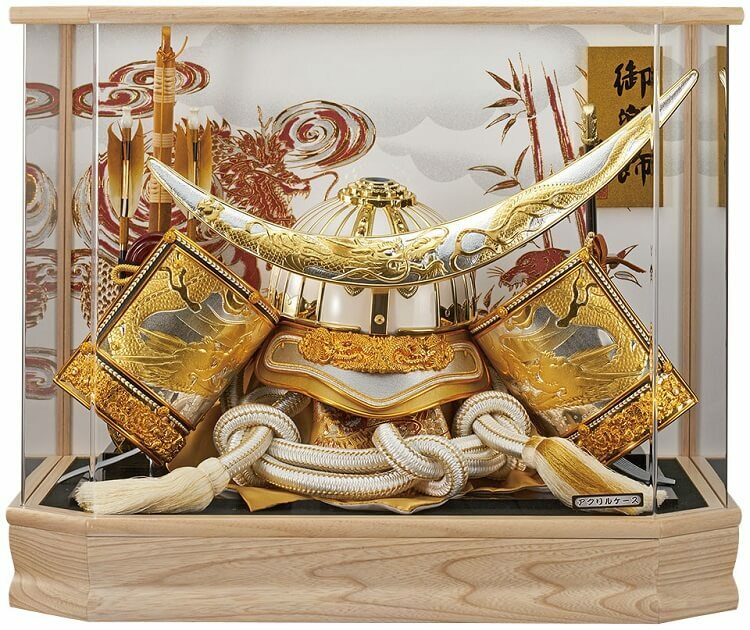 “Kabuto” Meaning Samurai Helmet is used in several Japanese sayings, which indicates how the kabuto or samurai helmets represents tradition of Japanese culture. 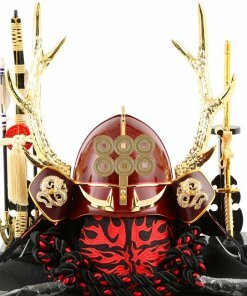 The Kabuto undoubtedly played a very prominent and long-lasting role in depicting the ancient war code of the Japanese warriors, however, the symbolism of samurai helmet far surpassed its military application and seeped into Japanese wisdom and everyday sayings. 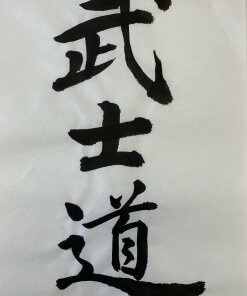 One Japanese saying “Katte Kabuto no o wo shimeru”, translated as ‘tighten your Kabuto after winning’, points towards the wisdom that one must not adhere to rest very soon after one’s victory as this could be a loss in and of itself. Another such phrase of Kabuto symbolism is “kabuto wo nugu” which literally means ‘take off the kabuto’, having used to depict surrender or sometimes defeat in a war. 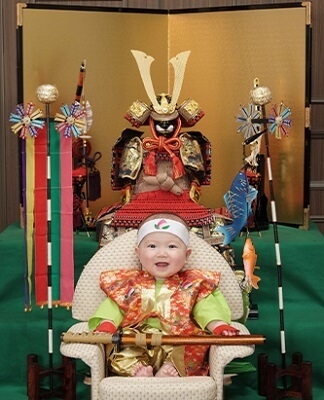 Typical usage of Samurai helmet in Japan is for the Children’s Day which is in May 5. 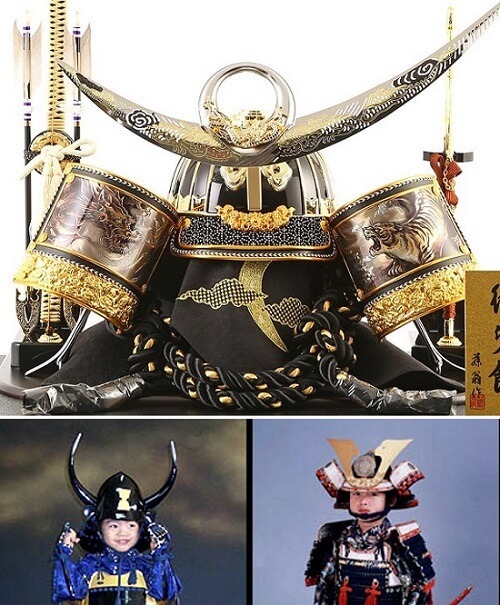 On the day, Japanese families who have boys display Samurai helmets (Kabuto) or samurai armor dolls at home. The purpose of the Children’s Day is to celebrate children’s happiness and to respect their personalities. The day was originally called “Tango no Sekku” or Boy’s Festival. 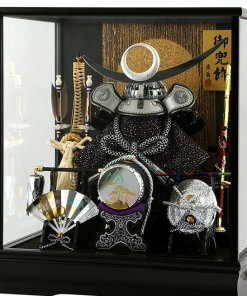 People displays Samurai helmets or armors in order to wish the healthy growth of the boys in the family, because those Samurai’s arms are symbols of strength and vitality. 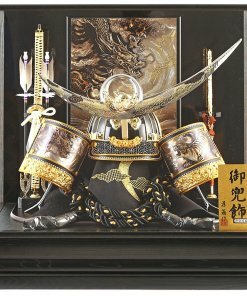 Although there’s no official rules to display Samurai helmets and armors, there are several types of displays sold in the markets. 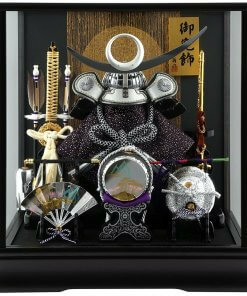 Note that all those displays are replica of Samurai helmets and armors; there is few people who have Samurai arms actually used in ancient wars. You can see genuine arms in museums. This type of products are the most gorgeous displays for Boy’s Festival. Motif of these armors are the ones used in period of the warring states (15th-16th centuries). 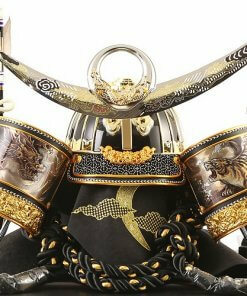 Popular products are replicas of the armor of Ieyasu Tokugawa and Masamune Date, who are stars in the era. Although products in this category is full-fledged and realistic, shortcomings are high price and the size of the products. You need a space to display; it needs a space of 1.5 square meters. Products in this category is also made gorgeously. 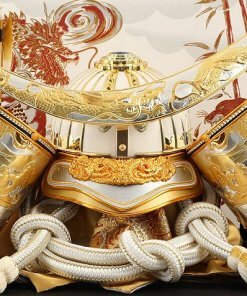 Details are replicated from the original helmets used by famous samurai warriors, and elaborate decorations are also made by the materials such as leather, paperwork or sometimes gold. Some products are designed and made so that kids can actually put on. Dimensions of these products varies and are much smaller than full-set of armors, so you can choose one fit to the place you’d like to display. Some helmets are set in transparent cases to display. Helmet itself may be same to wearable ones introduced above, but there are some advantage to display in case. You can avoid dust put directly on helmets. Because helmets are complex objects made of various materials, it may be hard to clean. For this type of products, you can easily remove dust by using cloths or dusters. 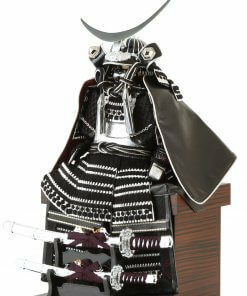 Price range of Samurai helmet or armor products are very wide. When it comes to extremely gorgeous product made by master artisans, it can be more than ten thousand dollars. On the other hand, you can still find nice ones for a few hundred bucks. It’s important to set your budget on how much you’re willing to pay for it. 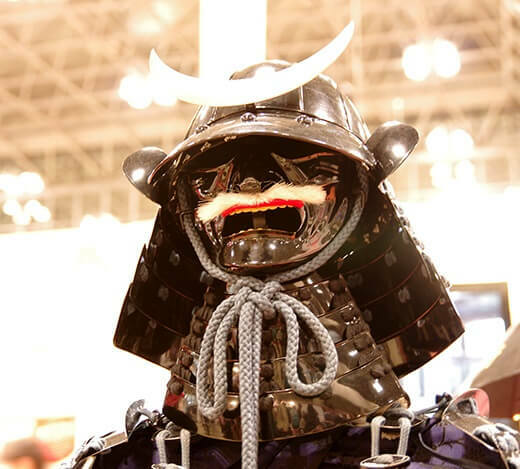 Even a Samurai helmet product may be larger than you think. It’s important to measure where you’d like to display before you start choosing ones. 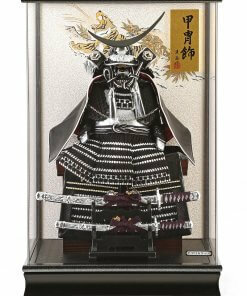 Generally speaking, you need a space of 1.5 square meters to display a full-size Samurai armor. 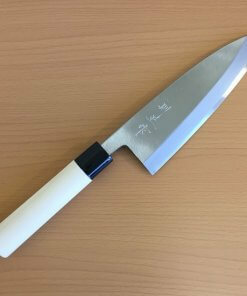 Samurai helmet products have width from 30cm/12in to 70cm/28in. Actually, there is no right answer about design to choose. Nor is there official way to display. So, you can choose any one you like, and you can display anyway you want. 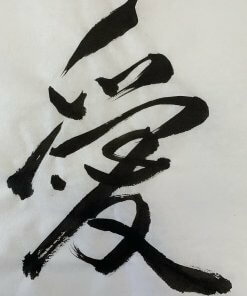 Some may choose one by the design of crest, some others may choose one of his/her favorite Samurai warrior, and so on. In shops, however, samurai armors and helmets tend to change its price because they are basically seasonal items. 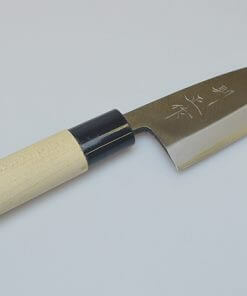 Furthermore, most of shops don’t sell these Samurai products once the season is over in early May. 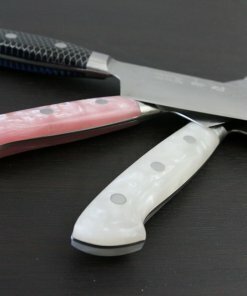 They start selling these products in March, in most cases. 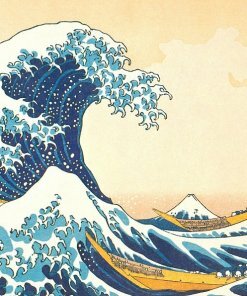 In our shopping site, OrientalSouls.com, we keep almost all products throughout the year for constant prices. Feel easy and enjoy your shopping in our site anytime you want to. 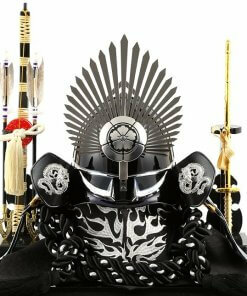 In many case, Samurai Helmet is replica of a famous Samurai warrior, or is made based on traditional motif that are common among Samurai warriors or generals. 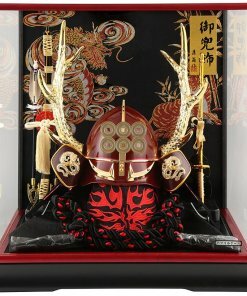 Motif of helmets/armor and side stories of the Samurai warrior is described in each product page. 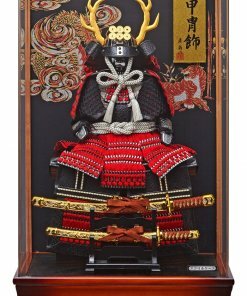 Hope you enjoy reading of famous Samurai warrior’s stories and what these unique designs are based on.